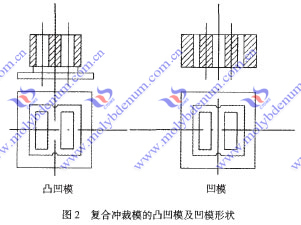 Aerospace, aviation, defense frequently used advanced transformer, there is a core part, the use of precious metals platinum molybdenum alloy, the alloy parts shown in Fig.1, the thickness t = 0.25 mm. 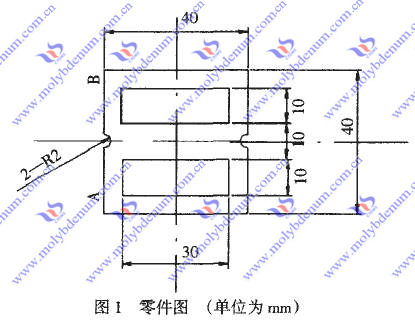 As can be seen from Fig.1, the part is thin, the more complex shapes. After processing requirements smooth without burr, this alloy hardness, while not high, but large plastic, which gives the mold bring some difficulties. If you have any interest in our molybdenum platinum parts or other molybdenum alloy products, please feel free to contact us by email: sales@chinatungsten.com,sales@xiamentungsten.com or by telephone:86 592 512 9696.